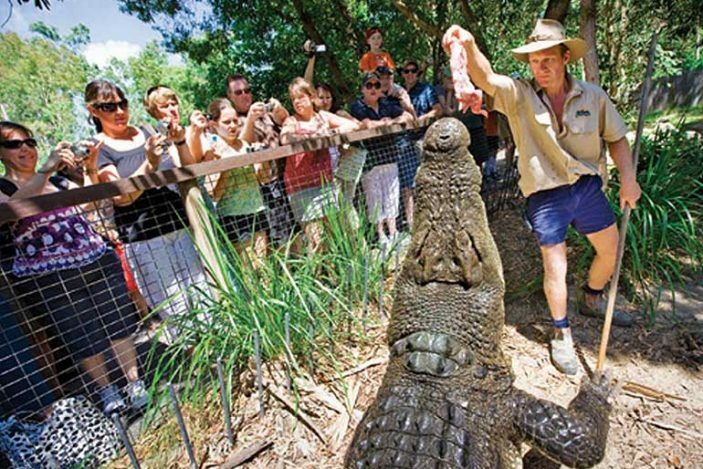 The best place to see crocodiles in North QLD including: a boat cruise on Hartley’s lagoon, Cassowary Feeding & Wetland Tours, Crocodile Farm Tour, Crocodile Feeding Presentation. Free time to explore the PARK and complimentary morning tea. Pick up at approximately 8am. Brett will pick you up at 11:35am for Kuranda.